This entry was posted in Academic achievements, Students and tagged international, scholarship on December 10, 2012 by Wire Eagle. 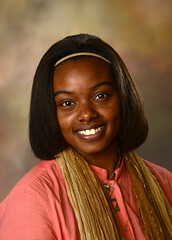 AUBURN UNIVERSITY – The Institute for International Education has awarded Auburn University senior Don’Neshia Clark a Gilman Scholarship to study at Istanbul Technical University in Turkey this spring. Clark, of Homewood, Ala., is a senior in Auburn’s College of Architecture, Design and Construction. The Benjamin A. Gilman Scholarship Program is a nationally competitive scholarship program sponsored by the Bureau of Educational and Cultural Affairs at the U.S. Department of State. The scholarship offers grants for U.S. citizen undergraduate students to pursue academic studies abroad. “As a Gilman Scholar, Don’Neshia will have the opportunity to engage in a substantive course of study at Turkey’s leading institute of higher education, all the while immersing herself in the rich history and culture of the region,” said Paul Harris, Auburn associate director for national prestigious scholarships. Clark is Auburn’s third Gilman Scholar this year, following Jamesa Stokes, who was awarded a scholarship to study in Germany, and Joel Geer, Japan. More information about Auburn’s study abroad scholarships is available at the Auburn Abroad website at www.auburn.edu/studyabroad.